Find of the (Almost Every) Week…Theory & Laundry! I love this Laundry Dress. Comfortable and flattering, can be dressed up or down, and it’s in perfect condition. Retail about $225, Goodwill $8.99. 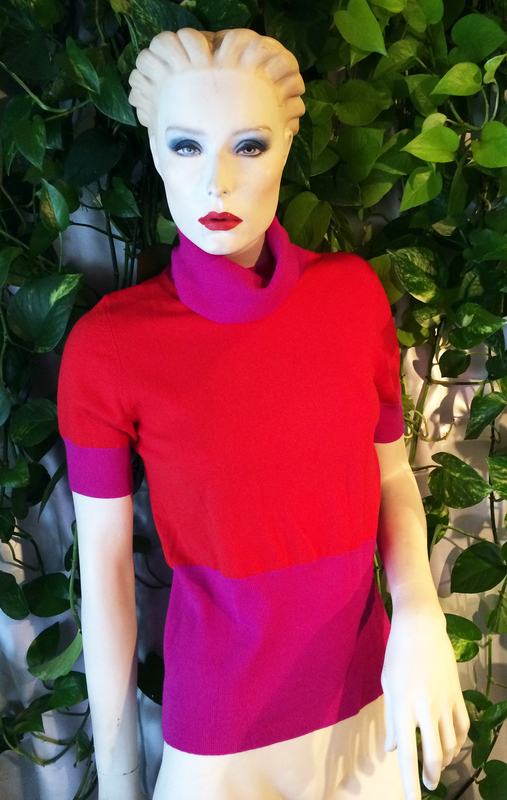 And this darling color-block wool sweater by Theory, retail $195, Goodwill $3.99. I love it! I’ve already worn it twice. Totally my colors. What did you find at your favorite thrift store this week? I’d love to hear about it in the Leave a Reply/Comments section. This entry was posted in fashion, shopping, Thrift store shopping and tagged bargain hunting, best for less, budget, color-block sweater, designer, designer clothes, designer labels, fashion, Goodwill, Laundry, Laundry by Sheli Seagal, Laundry dress, personal style, saving, Sheli Seagal, shopping, style, Theory, Theory sweater, thrift store, thrift store find, thrift store shopping, thrifting. Bookmark the permalink.